This weather has me craving hot chocolate. Mark and I recently went to the city for the Vogue Knitting Live conference and we happened upon the famous Magnolia bakery. The best thing we had there was the Hot Chocolate. So today as I was working on my annual reports I tried to remake it. 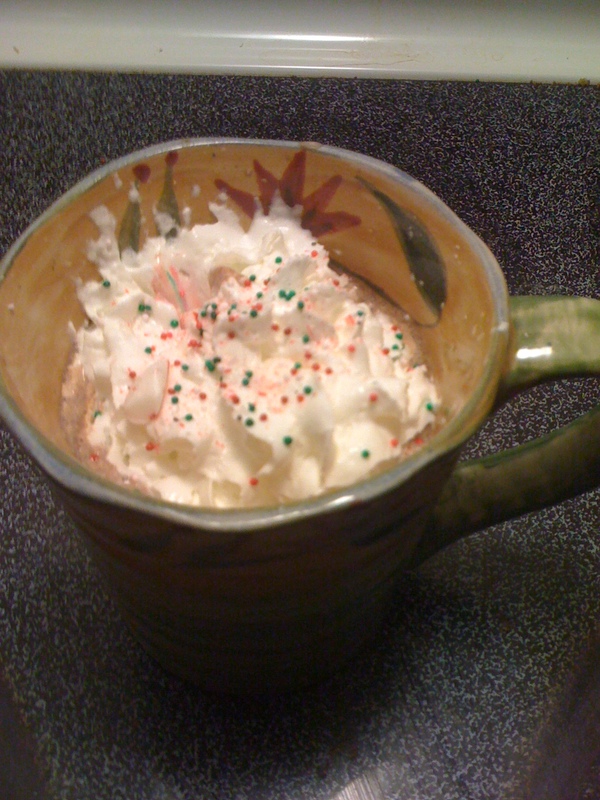 Here is a super rich recipe for Hot Chocolate. In a small sauce pan whisk the ingredients together and heat over medium low heat till you achieve the desired temperature.